​Be part of the Solution. Homelessness in America is higher than it's ever been, and the resources available to them are limited. 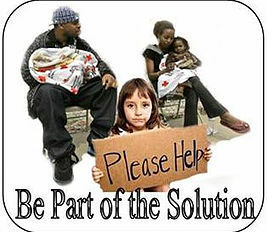 The average age of a homeless person in America is 9 years old. In January 2014, there were 578,424 people experiencing homelessness on any given night in the United States. Of that number, 216,197 are people in families and 362,163 are individuals.